Various sea animals vector illustration. They are illustrated in monochrome red color. 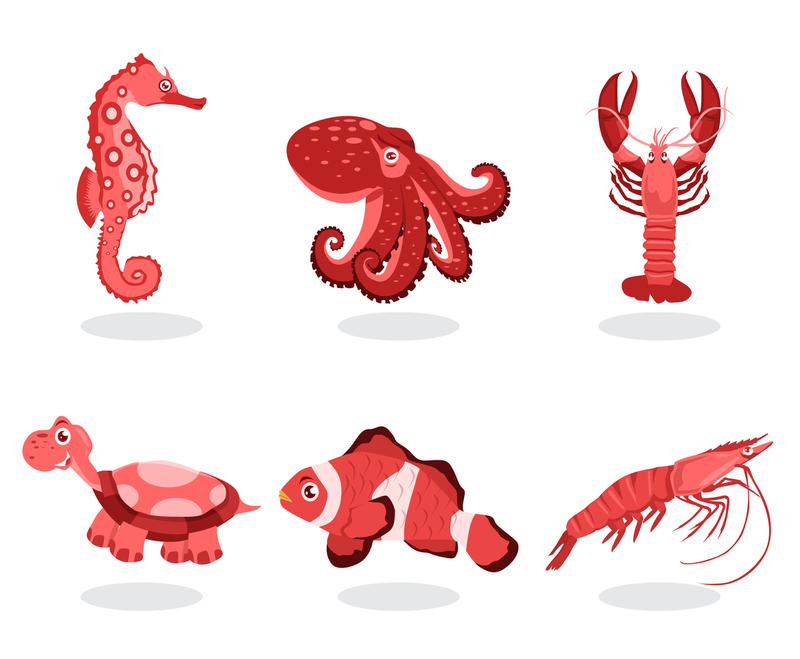 In the set you'll get illustration of sea horse, octopus, lobster, prawn, sea turtle and a fish. You can use them as part of children book or poster or infography related to ocean wildlife or animals. Editing the colors is easy!